Well, it’s a new year and I’m on to new projects. I know it’s been a long time since I’ve posted updates and although the intention is good, somehow I don’t seem to update as often as I would like. I’m just going to start small with one of the fun projects that I did for the holidays. 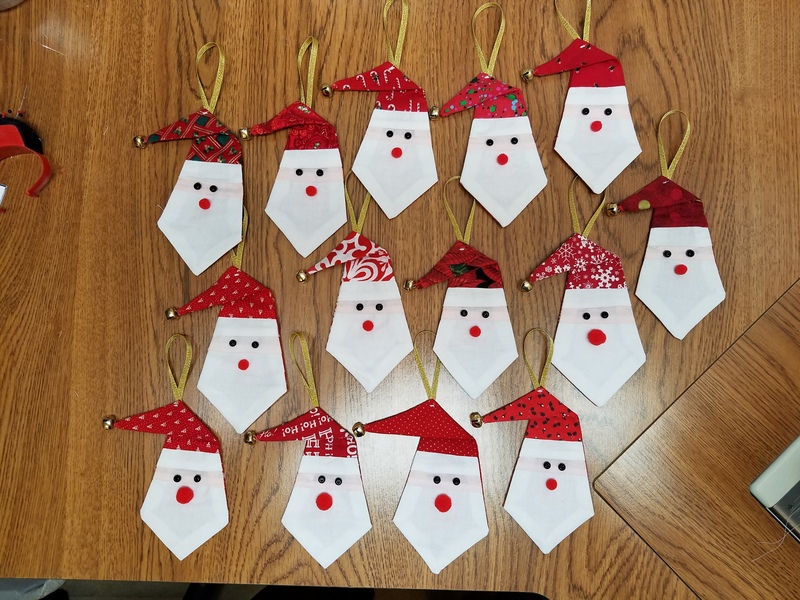 These paper pieced Santa’s were my holiday ornaments this year. I had so much fun doing them that I was sad to think I can’t do them and give them again next year. So I’m on the hunt. I still have a couple of months to think about it.